Over at the Maestronet forum I posted this photo of the collection of gouges I use, and I’m going to repost here what I wrote there. 25mm #3 for finishing, inside and out. 19mm #7 for the edge around the c-bouts. Sometimes I use one of the scroll gouges. 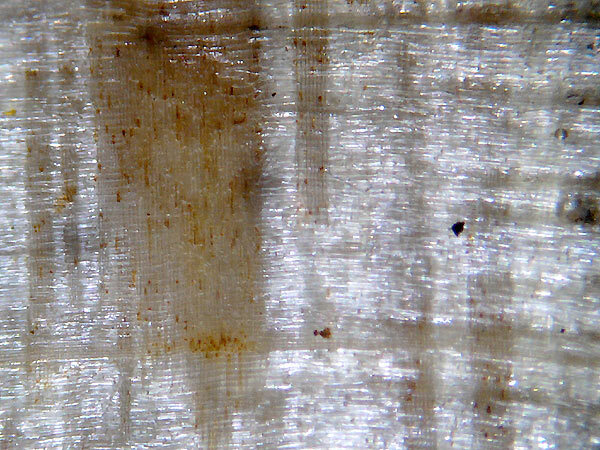 If you look at Cremonese scrolls you’ll see that they only used a couple of gouges to do the whole job, so that’s what I do too. They are all sharpened to fingernail profile. On the knife blank that lets me use it bevel up for flat paring (sides of pegbox) and flipped it acts as a very flat gouge (for part of the first turn above the pegbox, and the transition between the two). The last one is sold as a violin tool. 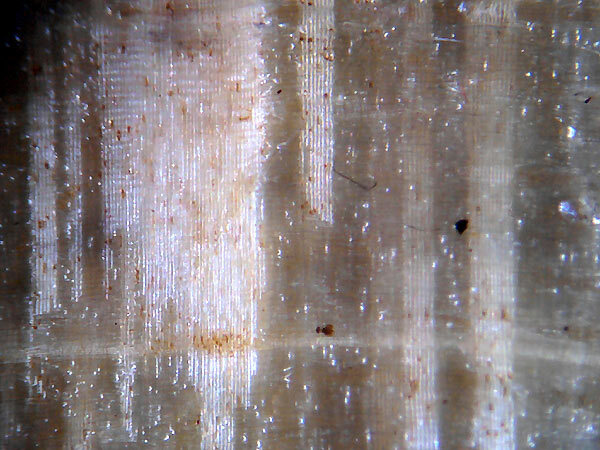 As with many violin tools, it doesn’t work very well (the outside isn’t really round and the walls are too thick to bore easily} and I probably should buy a 6mm #9 and sharpen it in-cannel. I wasn’t thinking about chisels when I shot this photo, but my chisel set is relatively simple: a 1″ that I use only for fitting cello necks, a 1/2″ for most other work, and a 1/4″ that I use in tight spots, rarely. 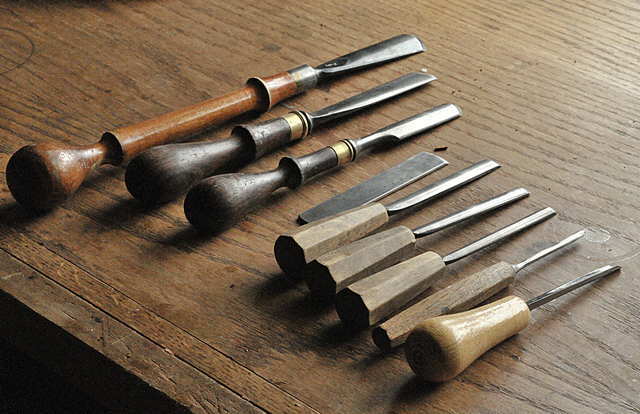 All of these are quite long, not stubby hardware-store chisels. I also have a very narrow hook/chisel that’s about 1mm wide, for clearing out purfling grooves. 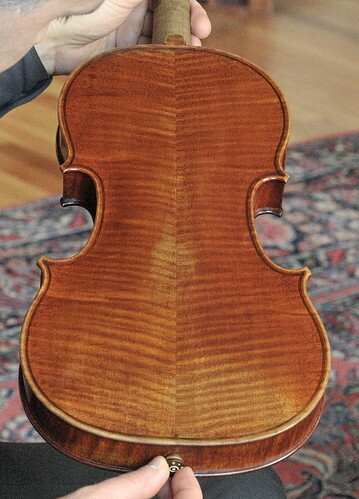 One of the finest Stradivari violins in existence, the 1721 ex-Lady Blunt, is going to be auctioned in a couple of weeks at the Tarisio online auction site. Here’s a link to more about the auction, and some great photos. Last week the violin made a pass through Chicago, and we were able to see it in our shop, Darnton and Hersh Fine Violins. I took a bunch of pictures of little details that I was interested in, and have posted them on my Flickr pages.